Prairie Lightning Electric in Weyburn offers a number of products that include security cameras, computer cabling, and lighting. Our products, paired with our services, are tailored to your individual needs and installed by our expert technicians. Give us a call for more details today! 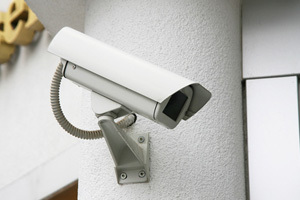 We carry a wide variety of security and closed-circuit television cameras for optimal surveillance of your property. You can count on our technicians to install and setup your security systems to keep you, your home, and family safe at all times. The technicians on our team at Prairie Lightning Electric have experience with both voice and data computer cabling. To optimize your systems and ensure a reliable, clear connection, get in touch with us. For showrooms of any size, we offer many different types of lighting to spotlight the critical areas of the main floor. Whether you would like to feature your furniture, art, or vehicles, we have just the lighting solution for you. Our lighting and fixtures transform any space in your home, office, or industrial building. From spotlights to recessed lighting, we provide a number of options that are suitable for any need, requirement, and personal style. We offer comprehensive services to repair, install, and service standby generators to ensure a reliable backup in the event of a power outage or other emergency. Our services are available for generators at home, in office buildings, factories, and other areas that qualify. 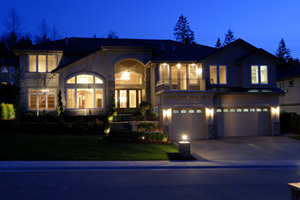 For home automation you can count on, look no further than Prairie Lightning Electric. We can connect your critical devices, providing you with a highly responsive system that provides a seamless user experience when it comes to your locks, thermostat, and lights. If you are experiencing outages or other issues with your panels and breakers, we have you covered! We offer general maintenance, repairs, and replacements that restore the full, safe use of this imperative electrical system.